552 yards of 2-ply wool. 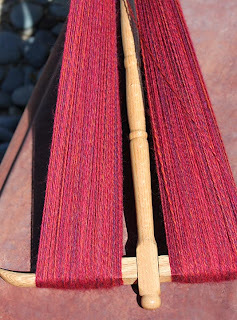 Roving from Louet, their Northern Lights Wool Top in the 'Mulled Wine' colorway. 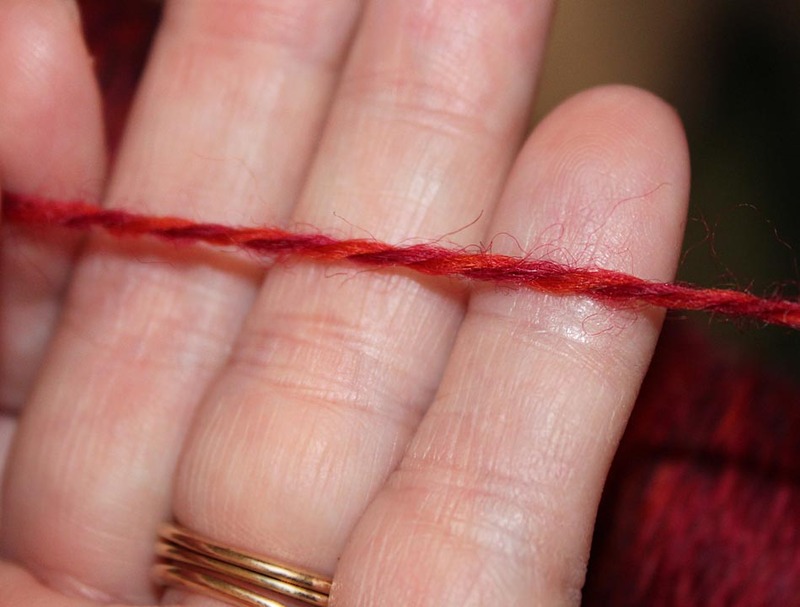 Hard to believe the short repeats of red, orange and purple spun up into this gorgeous deep red. 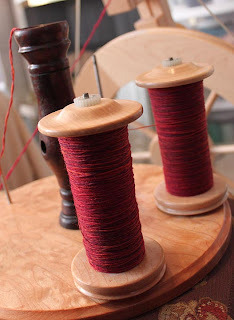 Almost a pencil-roving, this stuff was wonderful to spin. Personal best for me in consistency and yardage. 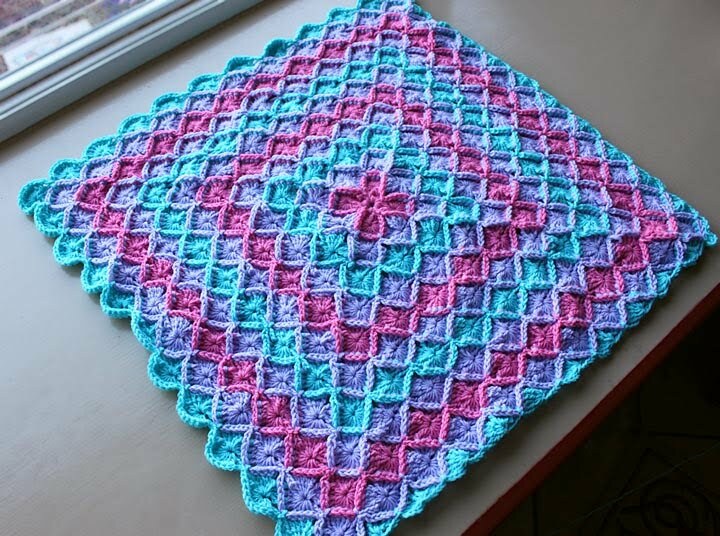 Got the urge to make a lace afghan to enter in this year's county Fair. 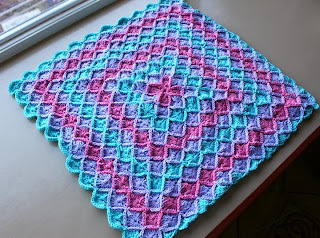 Found the doily pattern I want to use here and bought the yarn this week. Now I just have to find time to get this finished - along with everything else - by the middle of July. Already ripped out the first four rows once; it was too loose and floppy. 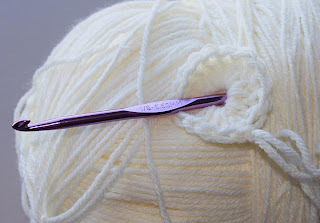 Starting again with a smaller hook and fewer chains between sections. 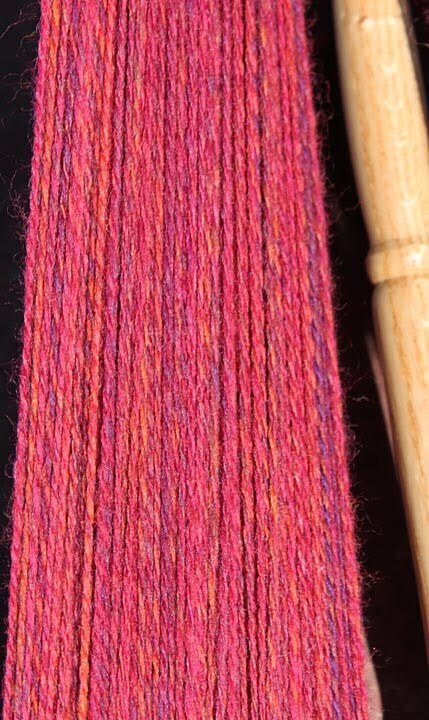 Translating thread patterns to worsted weight yarn is definitely trial and error.